Radiologists at Taichung Veterans General Hospital use STATdx to help them make accurate diagnoses. Editor’s note: This month, Elsevier Connect is exploring “the personalization of technology in science and health.” Here, radiologists at a major hospital in Taiwan talk about how using a tool tailored to their needs is helping them improve diagnosis and treatment. For radiologists at Taichung Veterans General Hospital, an accredited medical center and first-class teaching hospital, it’s not unusual to encounter the unusual. The team of 21 specialised radiologists, 16 residents and more than 50 technologists perform 450,000 diagnostic imaging and interventional radiology services a year. 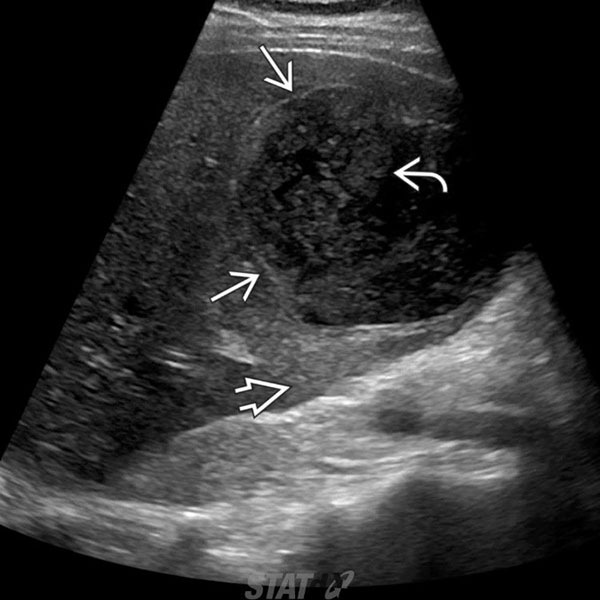 With so many cases, staff will often encounter rare or unfamiliar conditions, as Dr. Cheng Yun-Chung, Chief Resident Radiologist, did when an ultrasound revealed an unusual liver abscess on a patient. What does a radiologist do in this situation? The answer used to be “try a Google image search” as a way of generating image references. But that was far from ideal. “Sorting through thousands of pictures on the internet takes a lot of time, and they’re not always relevant” said Dr. Cheng. In this patient’s case, Google showed all kinds of liver abscesses, and nothing it returned improved the chance of a successful diagnosis and treatment. The solution for these quick, accurate, relevant results lies in the interaction between specialist content and technology. Although Google is accessible, radiologists at Taichung have started to discover the benefits of using a dedicated platform of content developed by experts and enhanced by innovative search engine technology tailored to the field of radiology. Last year, the hospital began a subscription to STATdx, a diagnostic decision support tool from Elsevier aimed at working and studying radiologists. 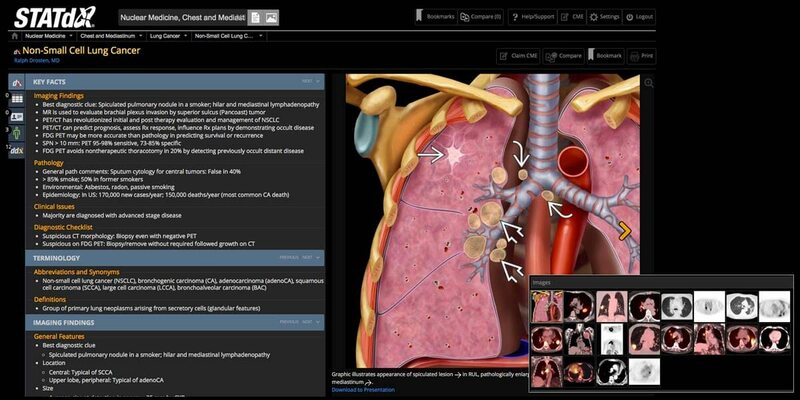 STATdx contains a vast collection of evidence-based and expert-based information for radiologists, with over 4,000 diagnoses and 200,000 expert-selected and annotated image examples online. Beyond its comprehensive image database, it provides clinical decision support, with almost 1,300 expert differential lists, 20,000 patient cases and related journal articles, allowing radiologists to compare multiple diagnoses side by side and increase confidence in diagnosis. Using a dedicated resource ensures that radiologists are always quickly able to find what they are looking for. In the past, image referencing and diagnosis of each case may have taken up to 30 minutes at the hospital’s radiology department; using a dedicated database enriched with search tools that can drop to as low as 10 minutes. For resident radiologist Dr. Hsin-Yu Tsai, the comprehensiveness of a dedicated resource is its key benefit. “With more indicators, there is greater confidence and certainty about what one is looking at,” she said. “It helps to minimize misinterpretations." Using a tool tailored to their needs has enhanced daily clinical practices for resident radiologists, allowing them to work more effectively by providing comprehensive and concise information all in a single platform. For the clinicians, that means substantial time savings and greater confidence, while patients benefit from accuracy in diagnosis and treatment. Read the full case study of STATdx at Taichung Veterans General Hospital. For medical professionals to provide the best patient care possible, they need access to evidence-based specialist information at the point of care. At Elsevier, we have the deep knowledge and technological expertise to support clinicians with highly personalized tools like STATdx.